Enjoy private transportation to Mt Vesuvius, an active volcano most famous for its 79 AD eruption that destroyed the ancient town of Pompeii. 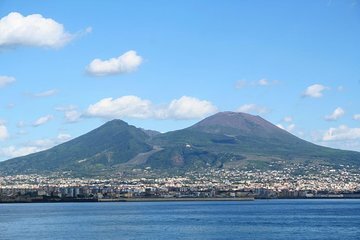 Travel by private vehicle from Naples to the mountain, enjoying views of the Bay of Naples, and then explore the crater area on your own before returning to the city. This is a transfer service only; entrance fees and a guide are not included.